i've taken a break for a few weeks because of the pain in my hands after finishing my 3rd set. also we have discovered we are expecting baby #2 so i've been quite tired lately. the last few days i have gotten back into dreading and i decided i would post some of the stuff i've done lately. 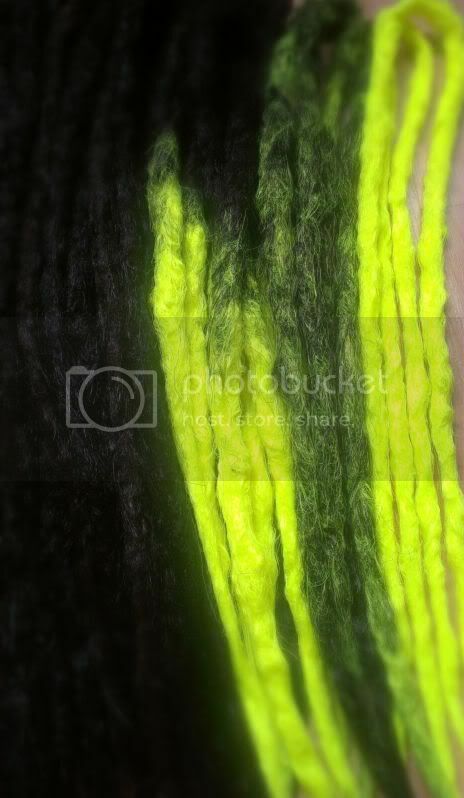 this is the 3rd ever completed set i've done for myself... 32 DE and 2 SE (which i pretty much made just to prove to myself i could... not sure if i'll use them lol) in #2, #4, and neon yellow. 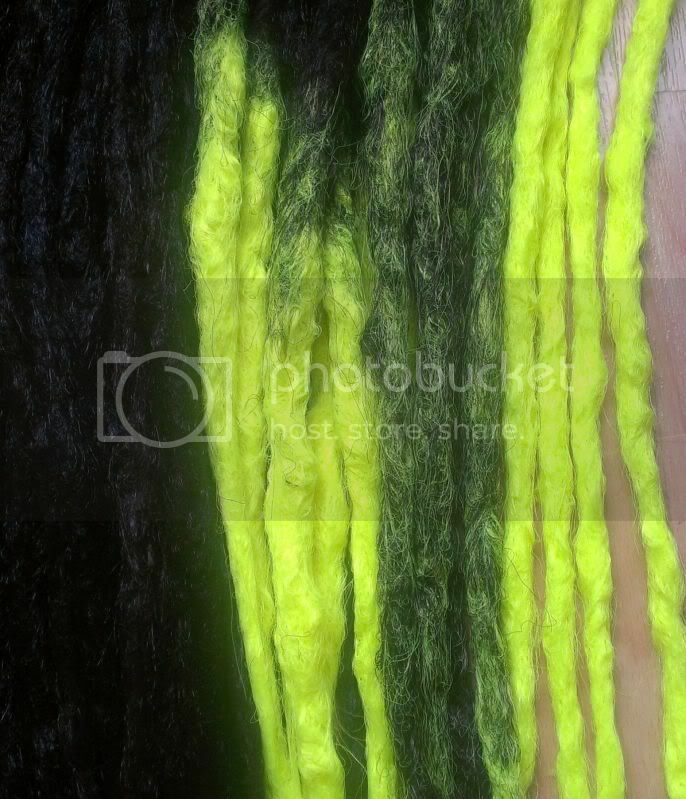 a few transitionals, a couple neon yellow solids, and a few rough blends of #2 and neon yellow! 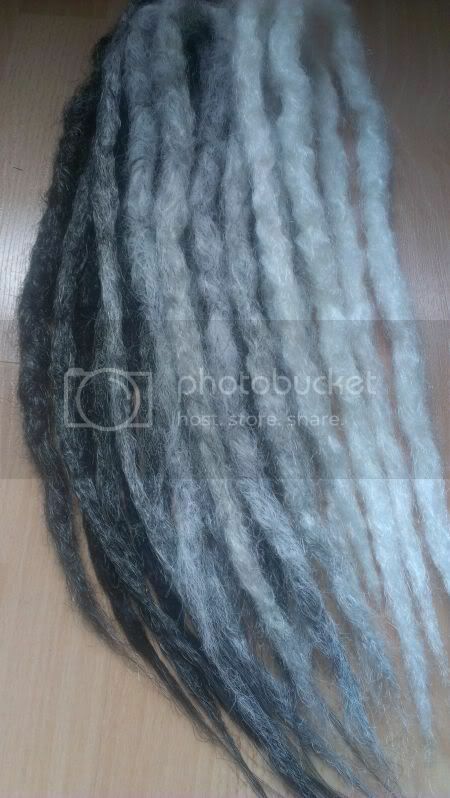 i trimmed the rest of the ends shortly after i took these pictures. i think i will wave them all and then hopefully install them this weekend or the next. this is the 4th set i've ever done that i am working on for my step-mom in-law. 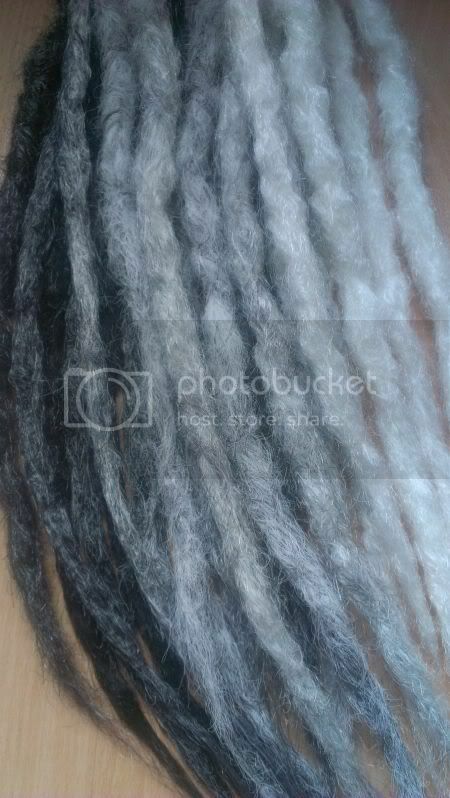 her hair is white/silver on the top and graduates into a dark brown/black on the bottom. it's really neat! i hope these will match well. 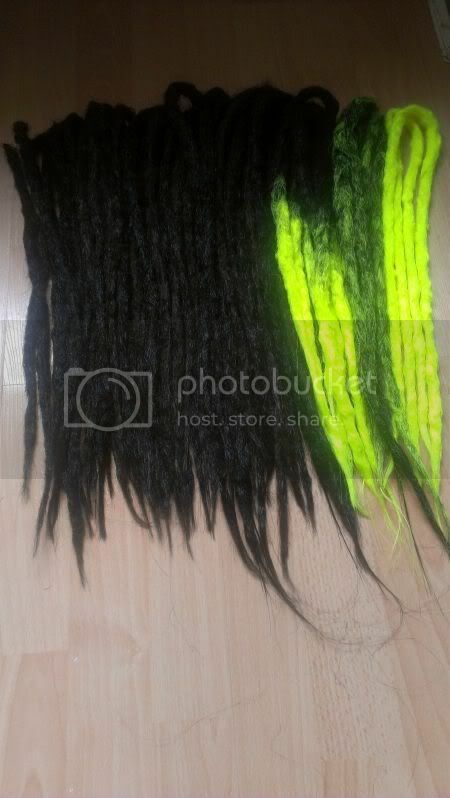 i have 11 dreads completed so far, i wanted to do up some blends and solids of each colour and take some pictures to see how i'm liking the colour combo so far. colours used are: creamy white, snow white, gun metal, and black smoke. half of these are sealed and the fluffier looking ones are not. i would love any feedback!! i'm still new here, but i take the time to put a lot of effort into my work and i feel like with my last 3 sets i've really seen my style develop and i'm quite pleased with it. after installing and wearing my purple set they held up amazing, and i was so proud of myself! That second set has such excellent blends. 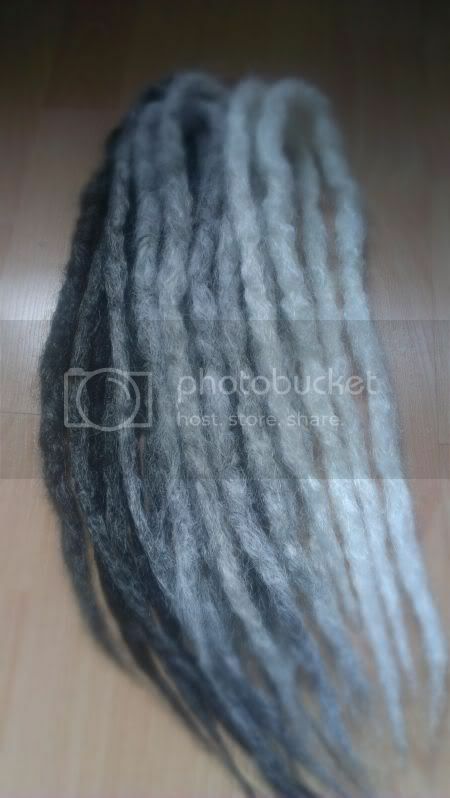 I really like them :3 They look like mine Well, the texture and stuff. With just crocheting it. It was already backcombed and all. I dunno about you, but I just get so into having all the hairs pulled through and it being like, perfect. ._. Loving that texture! Also I agree that the blends in the last set are fantastic! Congrats! & that first set is beautiful! thanks you guys!! i loved blending the whites and gunmetal it looks awesome together. can't wait to finish this set! Love the neon set. Looking forward to seeing them installed.